Me and Helene will show you some lovely new work in Brussels. We hope this years show will be even better than last year and are looking forward to seeing you all! Come and see us in May in New York! Lots of new designs for home interiors textiles and wallpaper, stationary and active wear. Welcome to booth #3228. 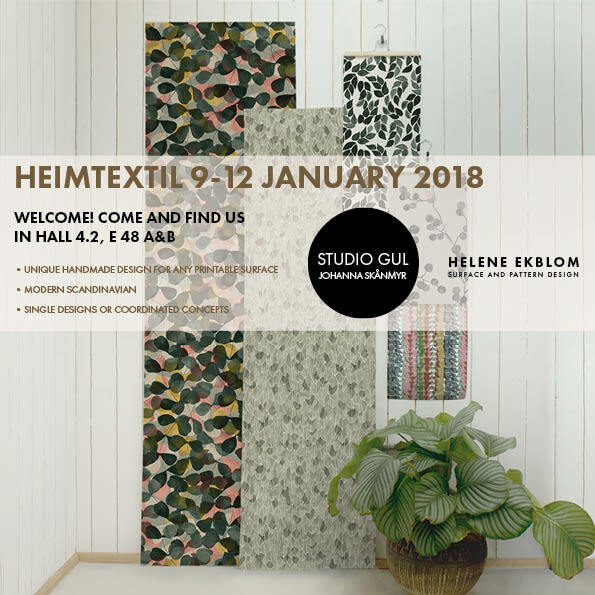 You will find me and Helene Ekblom at Heimtextil again this year.